The Pennsylvania State Association of Boroughs (PSAB) believes that the outreach of both the community to the youth and the youth to the community is the start of building our boroughs toward the future. It is with this thought that the Jonestown Borough Council is seeking to educate and involve the youth of the Borough in our local government. The Council would like to extend an invitation to Northern Lebanon High School students in the Junior and Senior classes to become a Junior Member of our Council. Serve either a one year or two year term. A term of office runs the length of a school year, September thru May. Be sworn in upon appointment and take an ‘oath of office’. Attend and participate in all Council and Committee meetings, budget sessions and other ‘special’ meetings, as appropriate. Help with local events such as parades, festivals and other community events. Be a voice for your peers and for the future of our community. Be guided by a mentor from the Borough Council. 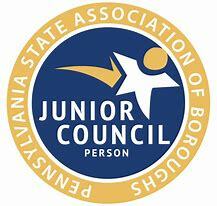 A Junior Council Member must be a resident of Jonestown Borough. They do not receive compensation and while they attend monthly Council meetings and are permitted to participate fully in those proceedings, they are not able to vote or attend executive sessions. If you are interested in becoming a Junior Council Person, please complete the attached Application of Interest and deliver it to the Borough Office via email to boro@jonestownpa.org or in person, Monday thru Friday 8am-1pm or Monday and Wednesday 4pm-7pm. You may also pick up a packet at the NLHS Guidance Office. Volunteers are needed to work weekends in the rides and food/beverage areas at Hersheypark. Not only will volunteers earn money for the Jonestown Park but they also receive vouchers (tickets) in exchange for donating their time! Give a little, get a lot! If you are interested in volunteering and would like to receive the Hersheypark schedules for our group, please contact Janet Yiengst at jyiengst@comcast.net or by calling 717-865-4892. Information regarding dress codes, job requirements and directions will be given at that time. You must be at least 18 years old to volunteer. The Jonestown PRE Committee is looking for residents who want to get involved with our community by joining our committee or by volunteering their time at events on an as-needed basis. Smiling, happy, creative, and caring individuals and families wanted! Please contact Tracey at traceycharest1@gmail.com for more information.